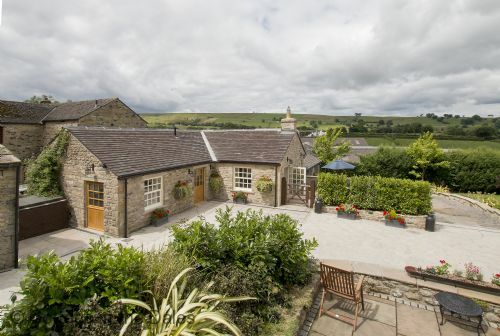 Grade II Listed 5 star gold modern barn conversion that is fully accessible to National Accessibility Scheme standards for guests with mobility, hearing or visual impairments. With private courtyard garden and direct access to half-acre additional garden. With private parking & electric vehicle charging point, in Newbiggin, Bishopdale for up to 2 people in 1 bedroom (+cot). A truly magnificent property in an exceptional area and warm helpful hosts on hand. Having experienced many cottage holidays throughout the country and most being premier cottages this one has to be the premier of the premiers. Everything you could wish for and more. From the booking to the welcome to our departure all was a seamless experience. The property is of the highest quality along with the furnishings and trimmings. The information provided both before and in the cottage was abundant and appropriate. There was nothing we could fault we loved it so much we've booked to return for longer next year in order to embrace ourselves in this exquisite piece of luxury and escape life's pressures. 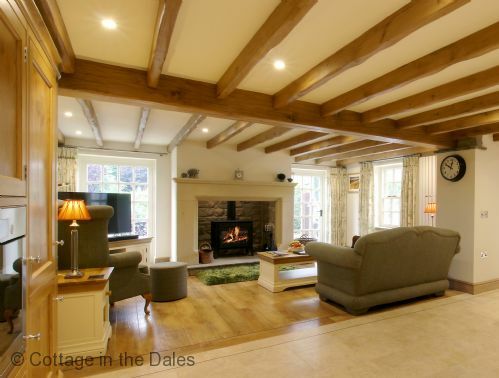 Wonderful Cottage in the Dales! 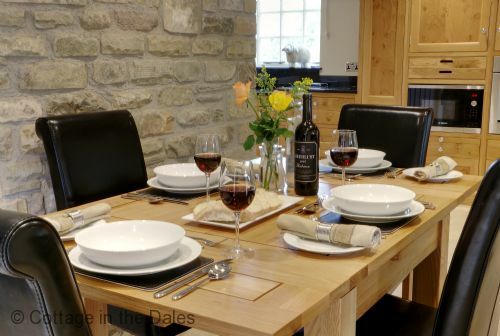 We consider ourselves very fortunate to have found such brilliant accommodation in the Dales. This is our 4th visit to the Diary and each one gets better! Our hosts Diane and Andrew think of everything to make our stay a delightful experience in their luxurious conversion. 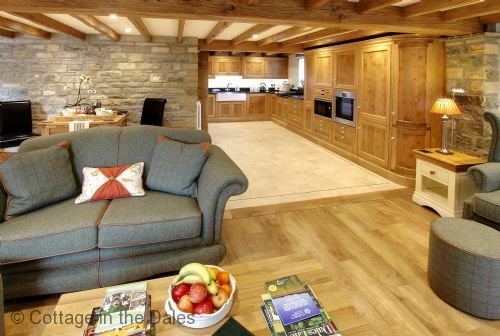 With another visit already in the diary we can't wait to return to Cottage in the Dales. We thoroughly enjoyed our few days at the Diary, Diane is a wonderful host. The experience of peace, quality and comfort provided at the Dairy is excellent and a real credit to both Diane and Andrew. Will be booking again ! My wife and I chose to stay at The Dairy to celebrate our 25th Wedding Anniversary, having previously stayed at the neighbouring cottage (The Byre) to celebrate my 60th Birthday. The Dairy is laid out on one level and is furnished throughout to a very high standard and is very cosy, with an extremely well equipped kitchen. The owners gave us a lovely warm welcome and explained the Dairy’s amenities as we hadn’t stayed in that particular property before. They are always on hand to provide any help or information that is needed but are not intrusive, in any way. We will be returning for a another short break in a year or two which is the highest recommendation possible. Excellent break in luxury accommodation. This cottage was first class in every respect. No expense has been spared to give guests a luxury feel. Diane was the perfect host. Thank you for your lovely review Christine as we really appreciate you taking the time to do so. It was lovely to meet you both & hope to welcome you back again. Best wishes to you both. A beautiful cottage for two. We both enjoyed a lovely comfortable place for rest and relaxation with everything we needed for our stay. Thank you Diane. Perfect. Even provided the sunshine! We were greeted by Diane who showed us around the Dairy. It is quite fantastic, perfectly clean and equipped to the highest standards with everything you need. The whole cottage is just lovely and we managed a glass of wine on the small patio with magnificent views over the dales. The hosts Diane and Andrew were on hand for if any problems arose (they didn’t) and were friendly but not intrusive. All in all, couldn’t fault the place. Sorry for the tardy response Iain. Thank you for your lovely review of your stay at The Dairy as it is very much appreciated. Ot was a pleasure to meet you both and we do hope we can welcome you back in the future. The Dairy gives exactly as promised. From arrival to departure the cottage and surroundings were enjoyed by a ninety two year old, one legged, thirty five year insulin dependent, outside wheelchair user. Quality furnishings, spaciousness and attractive location make a return visit something to anticipate with pleasure. A belated thank you for your lovely and quite unique review Barbara - it is very much appreciated. It was delightful to meet you both and we do hope we can welcome you back again soon. This is our second visit to The Dairy and we have already booked for the third consecutive year to try the property next door The Byre. This is due to the exceptional quality and attention to detail in the properties and the first class customer service supplied by our hosts Diane and Andrew. It was lovely to welcome you both back to The Dairy and we are delighted that you had such a great time again. Thank you so much for your lovely review. You pay us the best compliment by wanting to return and this time at The Byre. Our very best wishes to you both in the meantime. This is our third visit to The Dairy and each one gets better! Our hosts Diane and Andrew think of everything to give their guests a wonderful break in this delightful part of the country. It is always a pleasure to welcome you both back to our cottages. As The Dairy has only been open for 17 months you are our most regular visitor there and it looks as if that will be the same through 2019 too! It is the best compliment you can give us by returning again and again. We look forward to seeing you again in the spring. This lovely little cottage is set in a beautiful area with lots to do - walking, browsing around interesting little towns and villages, the Hawes creamery, Berry's farm shop, and more walking ... We love the peace and quiet here, the privacy and especially the plentiful supply of logs for the burning - we stayed in November. The facilities are first class with a fantastically comfortable bed and absolutely everything has been thought through. It is an award winning cottage and you are not likely to forget it with certificates on nearly every wall! It was lovely to meet you both and we are delighted you enjoyed the peace and quiet and facilities at The Dairy as a base to enjoy the area. We do hope we can look forward to welcoming you back, and you can be assured the 4 frames of certificates have been moved to one wall in the bedroom corner as we now have some lovely photos of the Yorkshire Dales on the walls courtesy of professional landscape photographers David Tarn and Ruth Grindrod. This cottage was wonderful. It was extremely comfortable and beautifully presented. We could find no fault. The owners should be very proud of this conversion. It was superb. It was lovely to welcome you back to one of our cottages and this time to The Dairy, so we are delighted you enjoyed your stay. We do hope we can look forward to welcoming you back again in the future. Our best wishes to you both. The planning , care and thought , which has gone into these cottages [ we were invited too view the others] , is just beyond expectations . So much to do and see in the area, great places to eat . It was lovely to welcome you to The Dairy to experience the accessibility support we provide to our guests and so absolutely delighted that you enjoyed your stay and the cottage was beyond your expectations. Our pleasure is to ensure yours. Best wishes to you both.